The FSU, in conjunction with our sister chapter at Amherst, the Mass. Society of Professors (MSP), chooses members to serve on the bargaining team prior to the expiration of the current contract. Around this time, we begin the process of polling members for bargaining priorities. Once those priorities are established, we begin to formulate proposals and bargaining principles which we then present to the administration. The administration in turn presents the FSU/MSP with its proposals. Bargaining begins by January 15th and, if all goes well, ends prior to the end of the spring semester. By this time, the parties have reached a tentative agreement on new contract language. The process now continues to the next and most straightforward step. 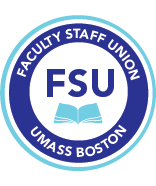 Now that agreement between the union and administration bargaining teams has been reached, the members of the FSU/MSP then have to vote to ratify the new agreement. A vote is conducted and, if the majority of the bargaining unit members voting cast a favorable vote to ratify, the contract becomes official. If a majority of those unit members votes not to ratify the contract then the parties must go back to the bargaining table and renegotiate until the agreement is ratified by a majority of unit members casting a vote. Since FSU members are state employees the legislature must vote to allocate state funds needed to underwrite the economic terms paid by the state. This is how it works: the Board of Trustees submits a request to the Governor for funding of the economic parameters of the new contracts (‘funding’ in this case refers primarily to the negotiated raises). The Governor then submits a proposed bill to the legislature which includes the funding for the contracts. If the bill passes, it goes back to the Governor, who would then sign it into law and disperse the monies to the Board. The Board in turn will fund the negotiated raises. But what happens if the Governor does not submit the contracts to the legislature for approval or if the legislature votes against funding of the contracts? That’s where things get complicated. Technically, if the contracts are not approved (or validated as it is sometimes called) via the legislative process then the state can ask the Board and FSU/MSP to renegotiate the entire contract from scratch. However, many state contracts, including the FSU/MSP contract, have language requiring that the state only has to approve the cost items in the contract (that is, the raises) in order for them to be valid. This means that all elements of the new contract apart from the economic parameters will be valid and in full effect. The raises for the contracts would then have to be approved via a separate appropriations bill. If that happened, the FSU/MSP would have to shift from the contract negotiation process to the political process: union members would have to rally together to push the legislature to approve an appropriations bill for the raises. If you would like to learn more about the contract negotiations process or you have an interest in serving on future contract negotiation teams, please contact the FSU office.